Let me complain about a problem I’m having. 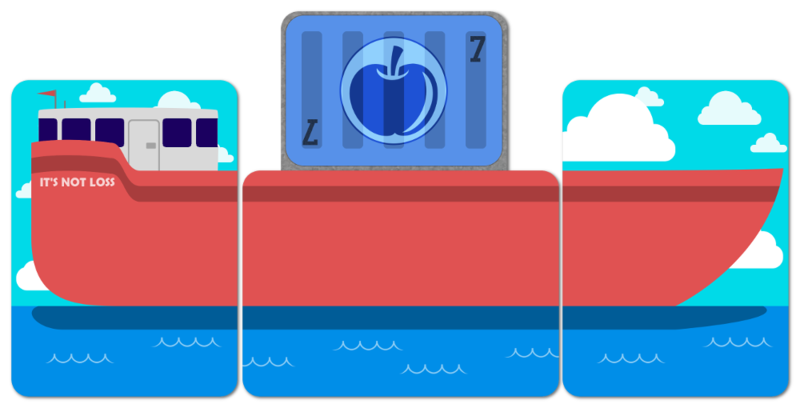 One of my games, currently titled under the genius name Boat Game is about shipping containers. I’m very proud of it, I did the art myself, I’m liking seeing the bits come together etcetera, and I have a lot of system stuff done for it, but it’s not in that turbo-get-it-done stage that led to games like Winston’s Archive being blurred through. What’s holding me up is that question I vented about earlier of procedurality. I’ve made a bunch of procedural games, where everything that exists exists in a specific set. You know, n hands of cards, or cards exist in these two-part combinations. For Boat Game, I was trying to avoid that. Which means that while there are a bunch of shipping container cards that show two containers, I don’t think I want it to be as simple as ‘every combination of containers shows up the same amount of time.’ This then puts me in the next challenge. How do I divide this up? What I’m afraid of, at core, is the idea that by distributing these things unevenly I’m going to create a scenario that’s unfair. This is a card game – shuffling cards tends to increase variance, so if the distribution of cards has an unfairness in it, it won’t show up readily or easily. That means if I do create an unfair game state, it’s entirely possible I won’t catch it in the game development and playtesting. I am writing this to exorcise this, to some extent. After all: These things are distributed on markets and player behaviour. If there are some things super expensive or super valuable and rare, then the odds are good that players will still scrabble on it. The question is about whether or not things get too desperate, if things become too high-stakes. m hoping by the time this publishes, the game is out, but hey.